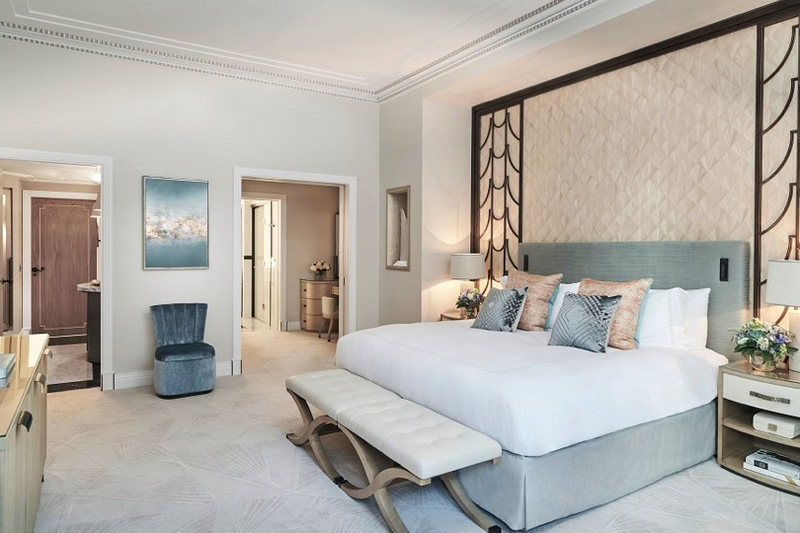 We were delighted to work with the Maybourne Group again, this time providing some bespoke joinery pieces for the creation of the Claridge’s Suite, at Claridge’s Hotel, London. The project has just recently been shortlisted for The International Hotel & Property Awards 2018 in the ‘Hotel Suite – Global’ category. Hosted by design et al, these prestigious awards aim to commend design while recognising talent and offering great inspiration. The overall project included the full renovation of an approx. 1080 sq. 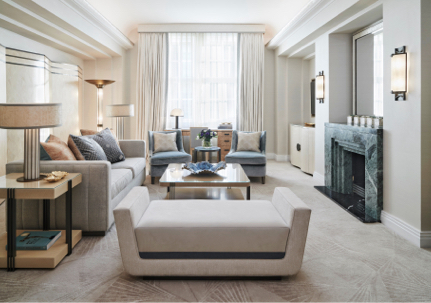 ft. one-bedroom suite in Claridge’s. It included a private hallway, living room, bedroom with ensuite bathroom, dressing room, as well as a separate guest bathroom, with view over Brook street. 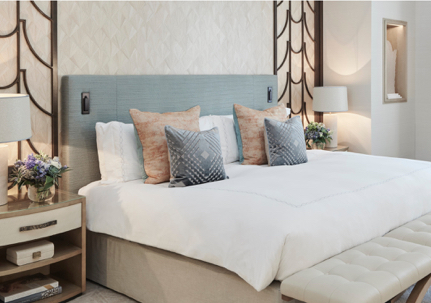 This contemporary suite embraced the art deco era with state of the art technology, catering for the modern traveller.